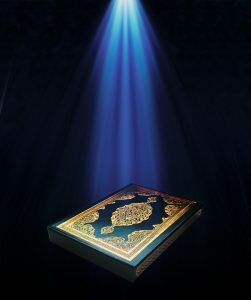 Q&A 1496 – Miraculous knowledge in the numbers of the Qur’an? Is there miraculous knowledge in the numbers of the Qur'an? I have heard it said, for example, that the word "day" turns up exactly 365 times in the Qur'an -- pretty impressive! What do you say? Muslims believe the Qur'an is superior to all other revelations, replete with miraculous indicators of its divine inspiration. Its amazing mathematical "insights" are reputedly far beyond what could be expected among Arabians of the 7th century. Let's examine a few of the more common assertions -- all numerical "miracles" -- starting with the 365 day matter, to see whether they are really as impressive as claimed. In the interest of fairness, I ought to mention that many Christians play similar games with the Bible. They believe the Bible contains secret codes, hidden messages, advanced scientific insight, etc. These games normally depend on a single version of the Bible (like the King James), and do not work for other translations. And they all have one thing in common. It is important to interpret scripture according to a simple principle. A passage does not mean today something it never meant to its original readers / hearers. In the case of Islam, we need to make an effort to locate ourselves in the mental and spiritual world of 7th-century Arabia. When we do, we quickly realize it when someone is forcing scripture to say something it was never meant to convey. Let's be watchful for the human tendency to read into the text what we hope to find there -- to make it answer our questions, rather than to address the concerns of the original readers. 365 days. The word day shows up in the Qur'an 365 times. This hidden fact (hidden, since you have to take time for the tally, or you'll miss it) supports the inspiration of the Qur'an. But the Muslim year is lunar, not solar. There are 354 days in the year. And what about night? That's a common word in the Qur'an, too -- but it doesn't occur 365 times. Nor does month appear 12 times, or week 52 times. 365 seems to be nothing more than a coincidence, and a weak one at that, since day pops up another 110 times in other forms of the word. 70:30 land / sea ratio. The word sea is found 32 times in the Qur'an, while land shows up 13 times. 32 + 13 = 45, so 32/45 (71%) and 13/45 (29%) are the respective ratios of water and land. 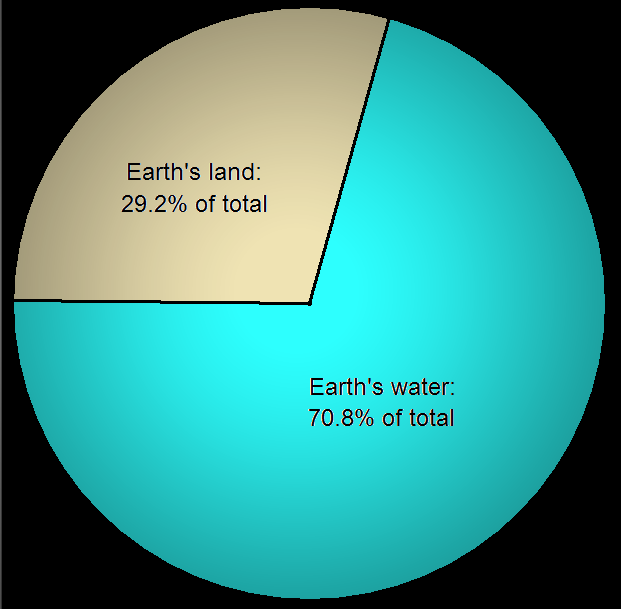 Earth scientists have shown that the water covers 71.11% of the earth, while the land covers 28.89%. As I read at one website, "If prophet Muhammad (PBUH), a man with zero literacy, were to author the Qur’an, how likely is it that the details would match so perfectly? Who taught prophet Mohammad (PBUH) all these?” Well, the oceans may cover 70% of the planet today, but this was not always the case. With the various ice ages, periods of global warming, and tectonic drift of the continents, the figure has fluctuated -- sometimes slightly, other times wildly. Go back far enough in geological history, and the entire planet was covered by seawater! The Qur'an in fact reflects the science of the day: the sun rises and sets, just as in the Bible. Neither book attempts to correct people's partial understanding of cosmology. Stunning sevens? Sabbath (the seventh day) is mentioned seven times in the Qur'an. So what? More impressive would be if the same Qur’an referred to Friday six -- it appears only once (62:9), Thursday five times, and so on. Miraculous Nineteen? Back when I lived in Sweden (this was around 1990), I was approached by a group of Muslims certain I would convert if I appreciated the miracles of the number 19. I was suspicious, whoever, knowing how easy it is to find patterns if we're determined to find them. I was not persuaded, although I did end up getting a free Qur'an (one of several in my office). I won't take the time here to go through this most common of all numerical "miracles," but you may wish to investigate it. Click here. Stranger yet... Some Muslim apologists have found a way to arrive at the accurate value for the speed of light through Quranic exegesis. Attempts to find hidden knowledge goes on and on. “A single phrase enables us to dismiss so-called mathematical codes and miracles of the Qur’an as fabricated and inconsistent false claims: arbitrary selection. The more we analyze these supposed mathematical miracles and the more questions we pose, the sooner we find out that Islamic propagandists have become crafty enough to evade consistency in their selection. "They first detect numerical coincidences in the Islamic scripture, and then seek the ways of formulating them as miracles. In the process of fabrication or invention, the step of collecting some data is followed by the step of testing them in order to see how these coincidences or identical numbers could be brought together on a common ground. Unsurprisingly, this ground of concordance is also determined by these miracle inventors, who benefit from a wide range of possibilities and options." -- Source: Gambling with Numbers (Answering Islam).